Please read the following information carefully because the method of applying for admission to compulsory physical education classes has changed in the beginning of this semester. Every group will find this class included in its own timetable. There are two week cycles (odd weeks and even weeks) in each month. Teaching will begin in an odd week. The timetable can be viewed at http://semmelweis.hu/sportkozpont/orarend/ . Classes last for 90 minutes, which is divided to a 60-minute and a 30-minute period. The 60-minute period is a physical education training directed by a P.E. teacher and the 30-minute period is an optional sport activity. Students need to take part in this class 6 times in order to receive the P.E. teacher’s signature that proves that they have completed the compulsory class. You have to come at least 4 times on your scheduled class. If you missed one class you can make up once a week in any physical education class and then you may receive the teacher’s signature. The absence cannot be proved, should make up for the lost lessons. Students need to take part in this class 10 times in order to receive the P.E. teacher’s signature that proves that they have completed the Special Sport Lesson. You have to take part in this lesson 6 times with max. 4 make up classes. You can make up for a missed lesson in a P.E. lesson once a week, but not on the Special Sport Lesson’s day. The absence cannot be proved, should make up for the lost lessons. I recommend this for students who have trained previously in the type of sport that they wish to train. If the sport requires wearing special equipment the students should have it and bring it for the trainings (such as the equipment for ice hockey). It is an activity of 2×90 minutes usually in the hours of the evening and it also means taking part in matches of the given sport tournament. There are several types of trainings, all of which are based on the University’s Medic Cup. These sports are the following: handball, basketball, football, volleyball, and water polo. There are also ice hockey trainings. Students need to take part actively in these trainings 15 times. This number can be reduced if students take part in tournaments. (Taking part in the Medic Cup reduces the number by 2, taking part in the University Tournament (that is Egyetemi Bajnokság) reduces the number by 3). If you missed one training, you can only have a make up lesson during a training session. Students can apply for all the two types of lessons in the Neptun system. Students can apply for the classes during the application period and the lessons begin in the first week of the semester. 3.1. Location of the Physical Education lessons: 1107 Budapest, Zágrábi Street 14. The location of the following sports is in 1107 Budapest, Zágrábi Street 14. : Aerobic, Zumba, Salsa, Football, SIFT footballs, Self defence, Badminton, Boulder, Frizbi, Taekwon Do and gymnastics while listening to music (Bless You Gym). The location of tennis trainings is at 1107 Budapest, Zágrábi Street 14 (In the Sportceter) from spring to autumn and at 1103 Budapest, Kőér Street 1/a in winter. Sport hiking tours are organized regularly in the beautiful hills of Buda. Neptun message will be sent about the meeting point. The trainings of handball, basketball, football and volleyball are held at 1107 Budapest, Zágrábi Street 14. Water polo trainings are held at 1124 Budapest, Csörsz Street 18., in the swimming pool of SE Vízilabda Klub, at MOM Sport Centre. If a student comes late for a class he or she can not join the lesson after the lesson has started. He or she must make up for the missed lesson in a different time. Students are not allowed to make up for a missed lesson in advance. Students may make up for missed P.E. lessons. The absence cannot be proved, should make up for the lost lessons. It is the duty of the students to have himself or herself registered by the teacher. Every student will receive a card with his or her name, Neptun code and bar-code on it on the first lesson. Students have to bring their card to every lesson in the university because this is how their class attendance is electronically registered at the beginning and by the end of the class. If you lost your card, you have to apply for a new one which is not free card takes for a week to get it. It is not possible for the students to register themselves posterior. 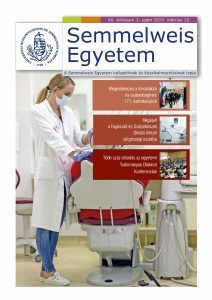 Students may visit the sports facilities of the Semmelweis University and the swimming pool of ESMTK in Budapest (1204 Bp., Zodony Street 1. www.esmtkuszoda-pesterzsebet.hu) free of charge if they show their valid student card during the teaching period of each semester. Students may use the sports hall and the open air sports grounds of the Physical Education and Sports Centre in Zágrábi Street but they have to call the reception and check in beforehand. Students can use the sport facilities but it depends on the free capacity of the facilities. Medical students of the Semmelweis University and the students of the PhD Schools of the Semmelweis University may use the sports grounds of both sport facilities for two hours on every weekday between 8:00 and 14:00 if these facilities have free capacity and if the students show their valid student cards. If students would like to use the sport facility for more than two hours than they must pay 50% of the price of regular sport service charge. If students would like to use the artificial football field and tennis ground they must pay 50% of the price of regular sport service charge. 06 20 825 0667 is the Telephone number of the reception of Physical Education and Sports Centre, 1103 Budapest, Zágrábi Street. 14. Students may visit the swimming pool of Pesterzsébet (ESMTK Pesterzsébeti Uszoda 1204 Budapest, Zodony Street 1.) and swim there free of charge throughout the year if they show their valid student cards.